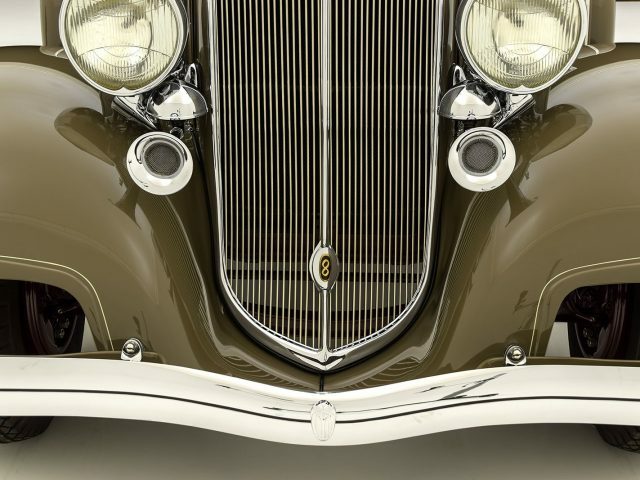 In the wake of a dust-up with William “Billy” Durant, the fiery founder of General Motors, Walter P. Chrysler left his post at Durant’s fledgling corporation to strike out on his own. 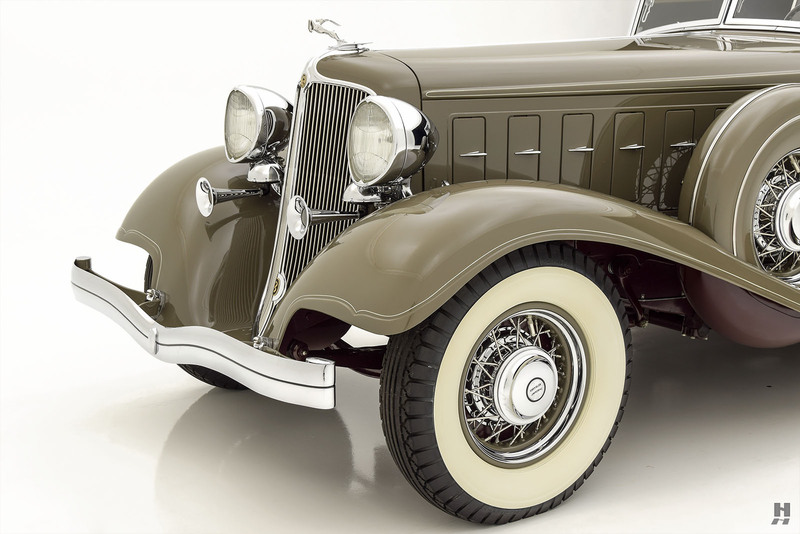 Not one to lack confidence, Mr. Chrysler purchased the ailing Maxwell Motor Company and began the process of reorganizing the firm. 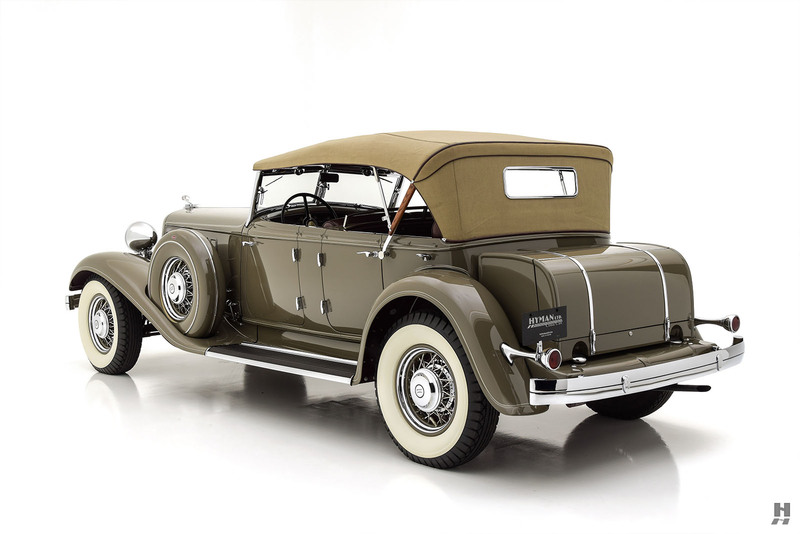 The Chrysler Corporation was born from the ruins of Maxwell, with a fresh new approach driven by Walter P Chrysler’s ambitions. 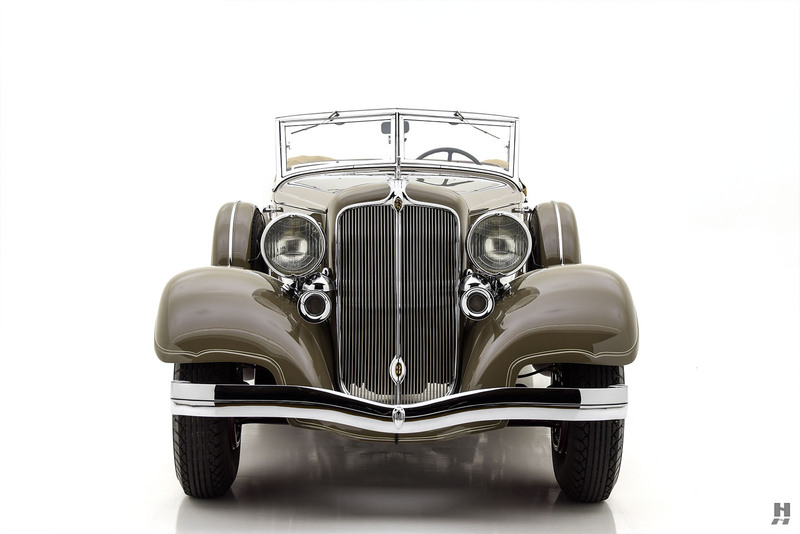 He wasted little time in turning out beautiful new motorcars that offered buyers exceptional value and performance for the money. 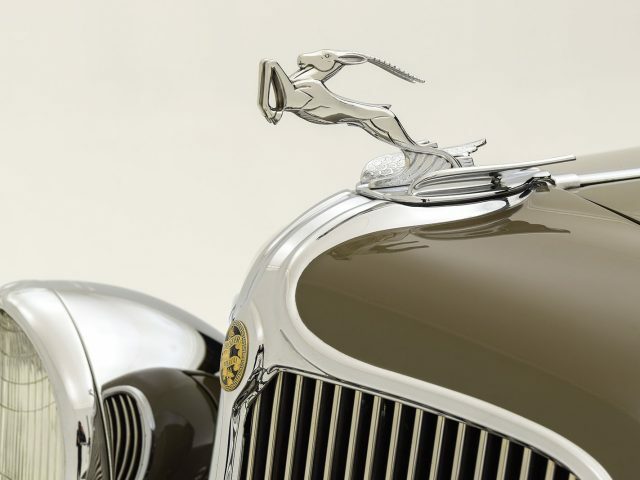 Within just a few short years, Walter P. Chrysler transformed the bones of the Maxwell Motor Company into one of America’s most successful car companies. 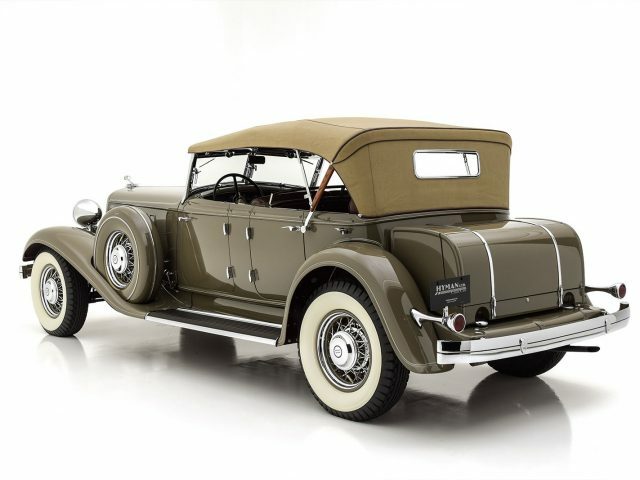 Incorporated in 1924, Chrysler Corporation rapidly earned a reputation for building automobiles of notable performance and quality at a reasonable price. 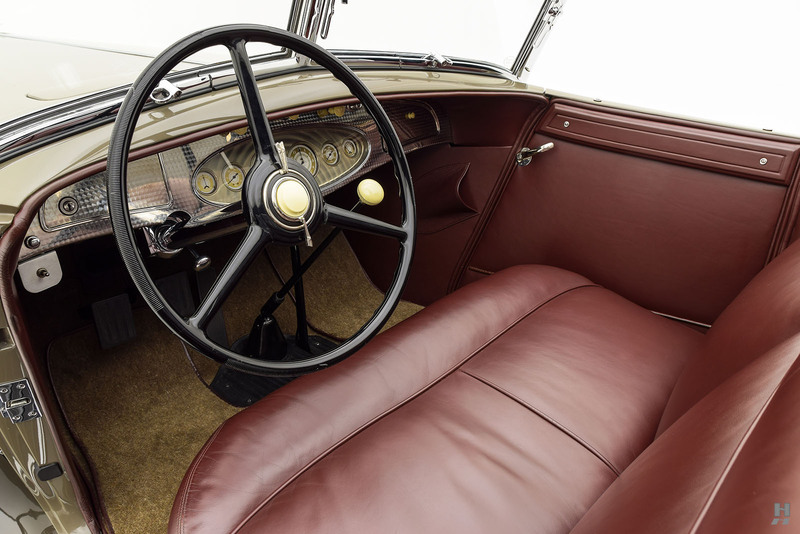 The firm added the flagship Imperial model in 1926, building on their success. 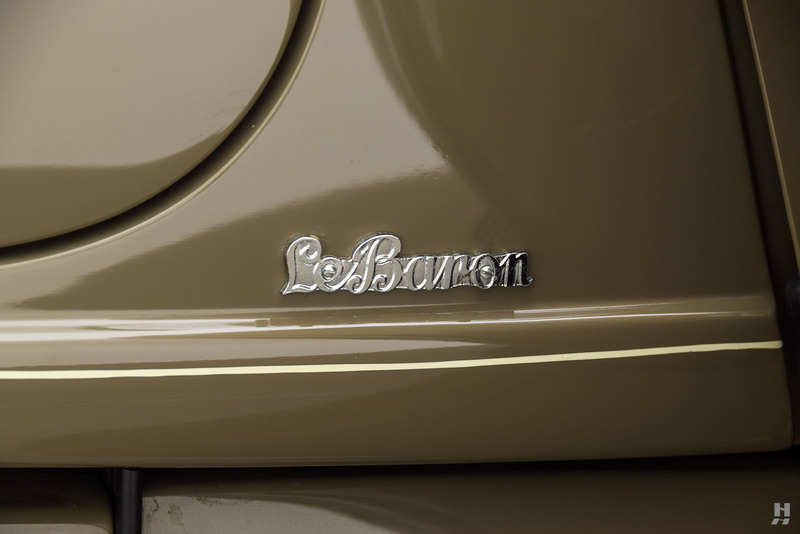 At first, the name applied to the top-spec standard cars. 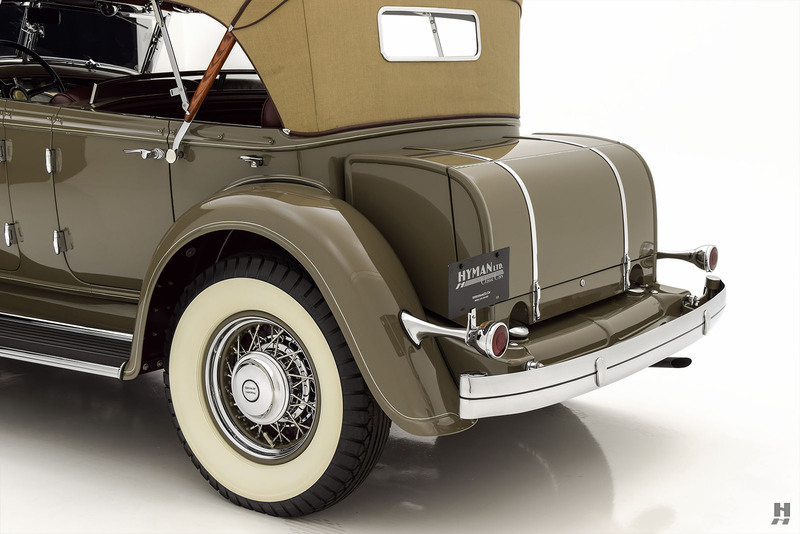 However, by 1931, the Imperial nameplate evolved into a stand-alone automobile set well-above the rest of the Chrysler line. 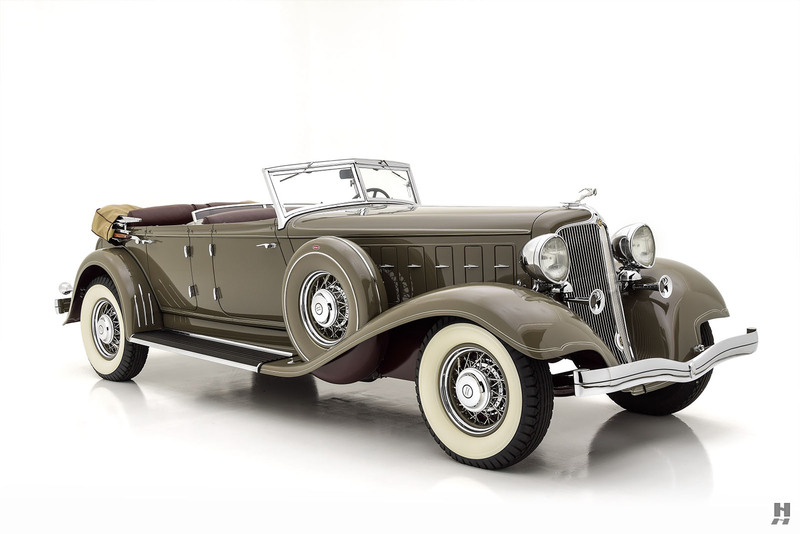 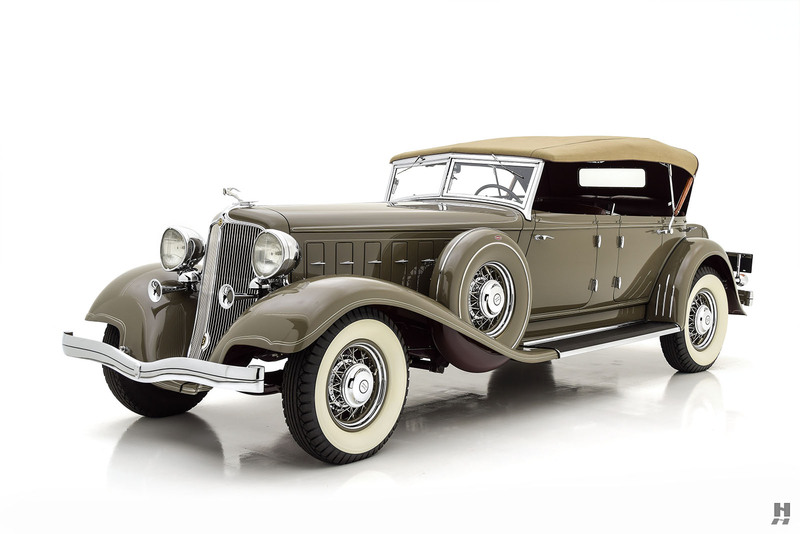 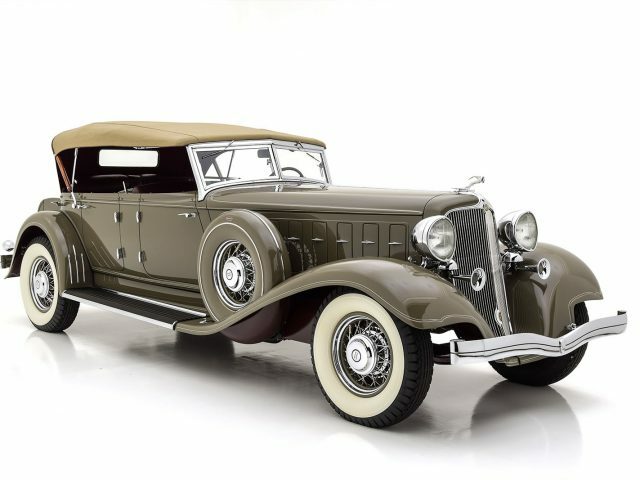 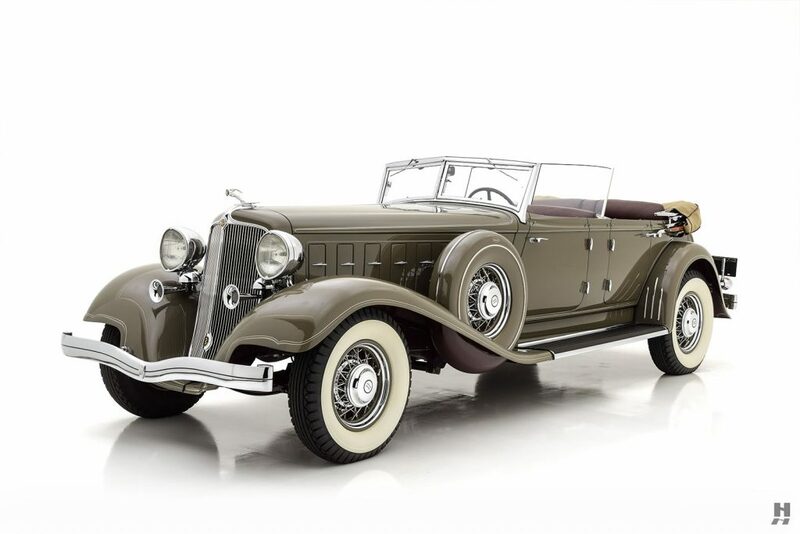 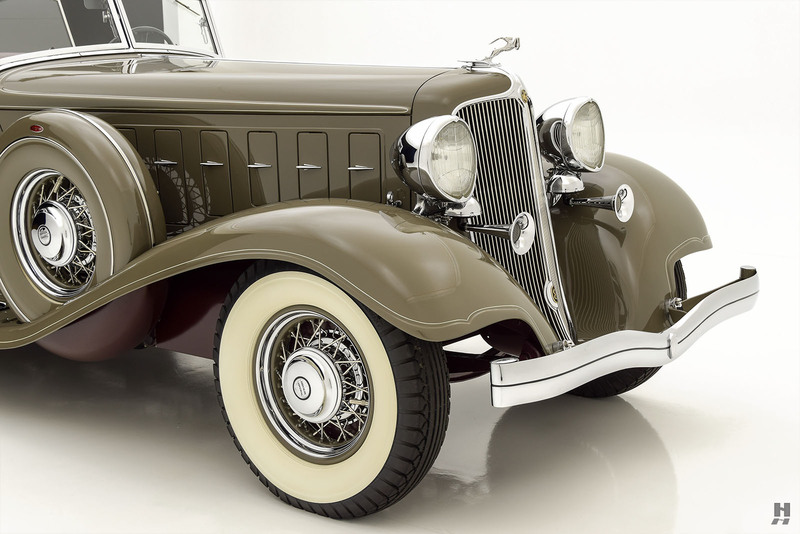 The CG Imperial of 1931 had Packard, Pierce-Arrow, and Cadillac squarely in its sights for honors in the highly competitive luxury car market. 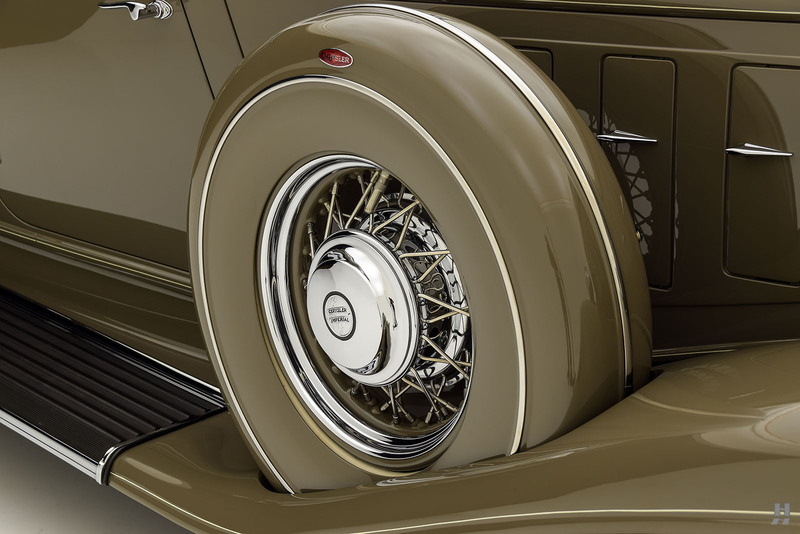 It’s nine-main-bearing straight eight produced 125 horsepower, enough to propel the big Imperial to over 95mph. 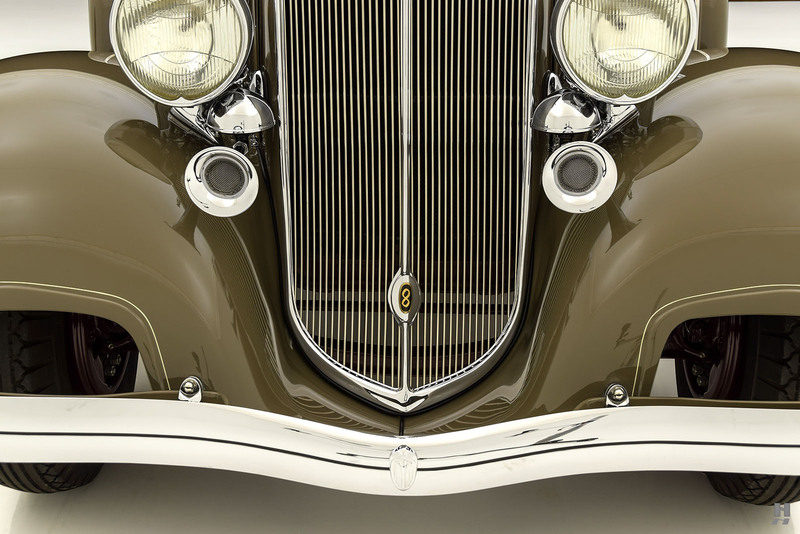 “Lowness” was a top priority for Chrysler, and the L-29 was his benchmark. 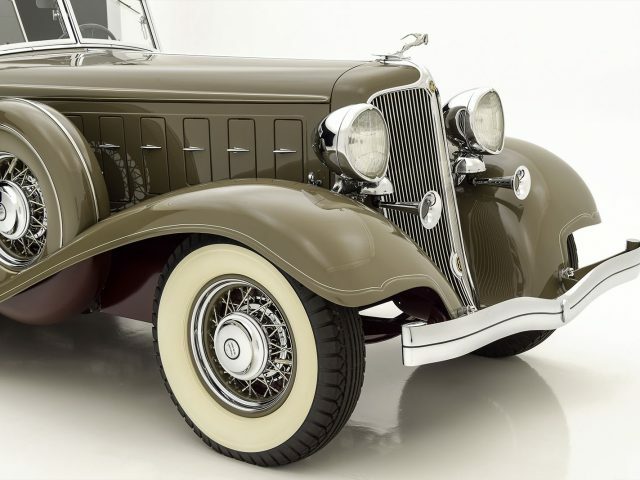 It is of little surprise to know that both cars came from the pen of Alan Leamy, and the similarities are apparent in the Imperial’s dramatically sweeping fenders, canted radiator shell, and long, low-slung profile. 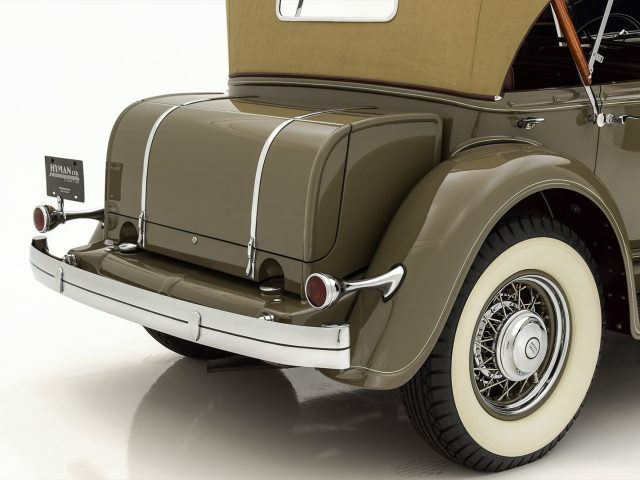 For the 1932 CL Imperial, Chrysler stretched the chassis to 146 inches and revised the styling with a swept and raked grille, cowl-less hood, and gracefully flowing fenders. 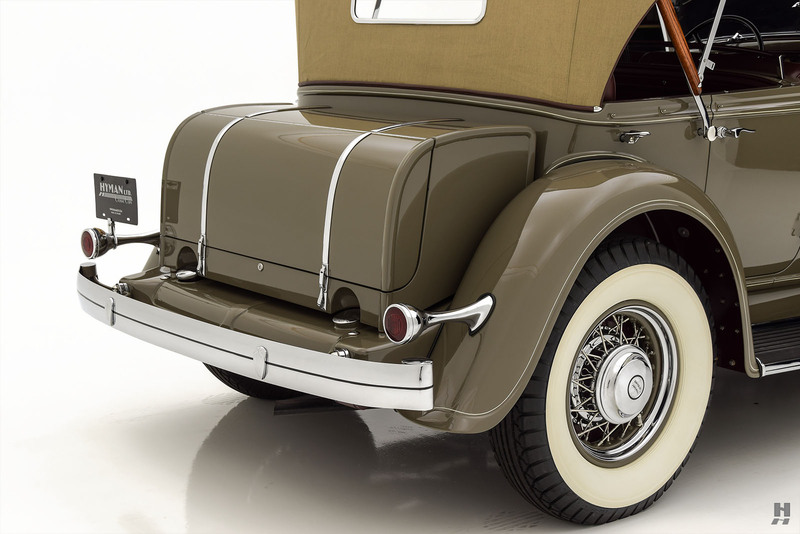 Hydraulic brakes, adjustable seats, and hydraulic dampers all carried over to the CL, so performance was up to Chrysler standards. 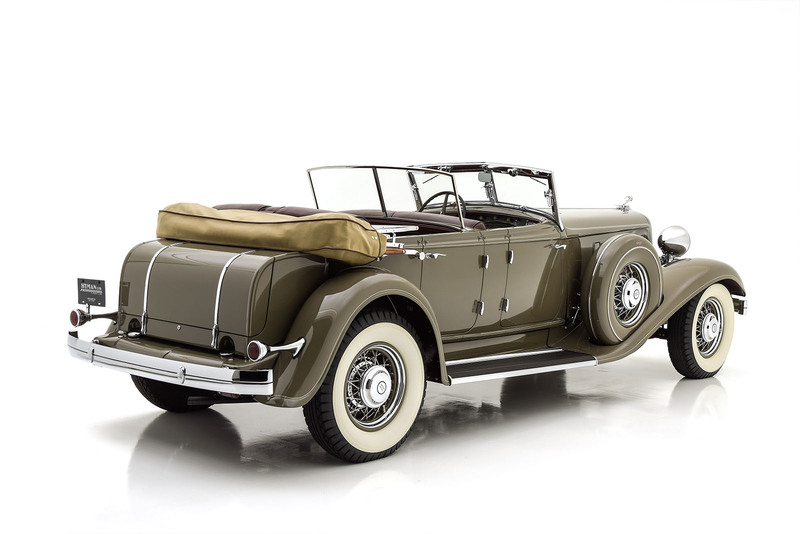 Thanks to the advanced suspension geometry and powerful 8-cylinder engine, the CL Imperial is one of the finest driving cars of the period. 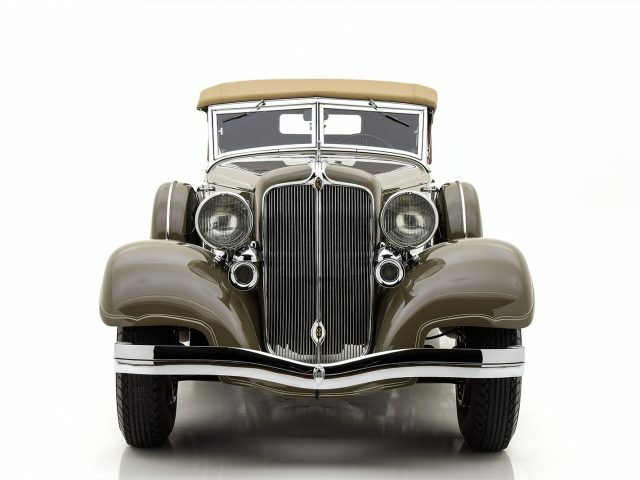 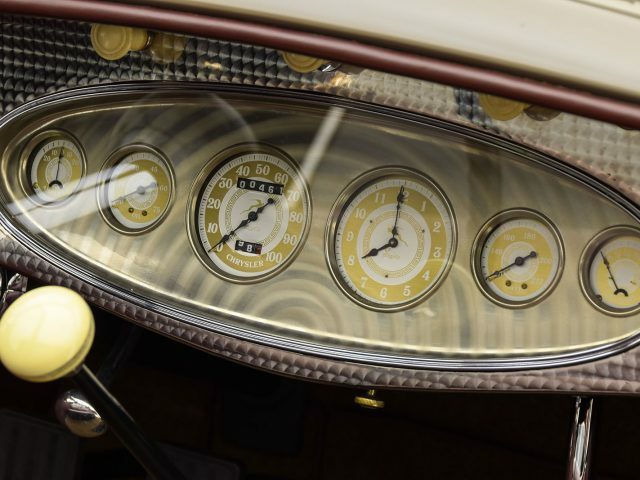 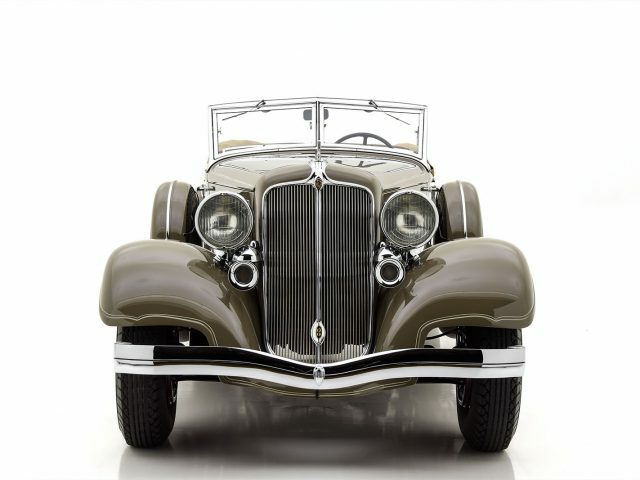 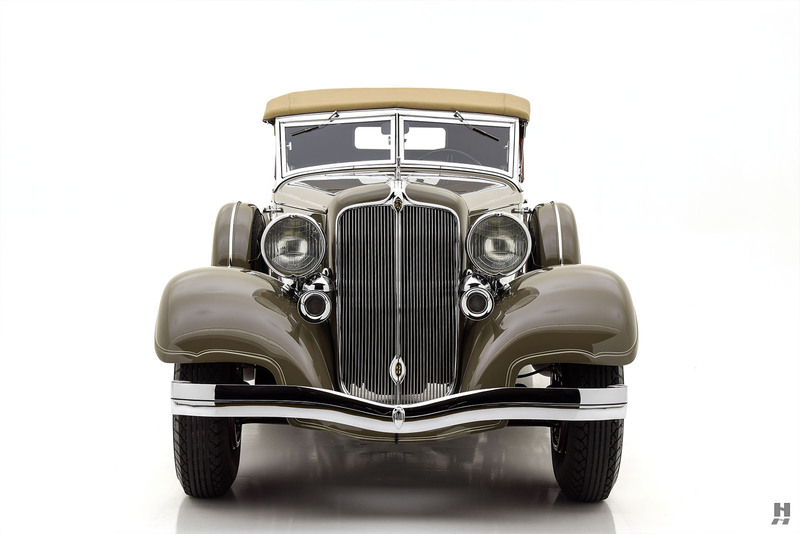 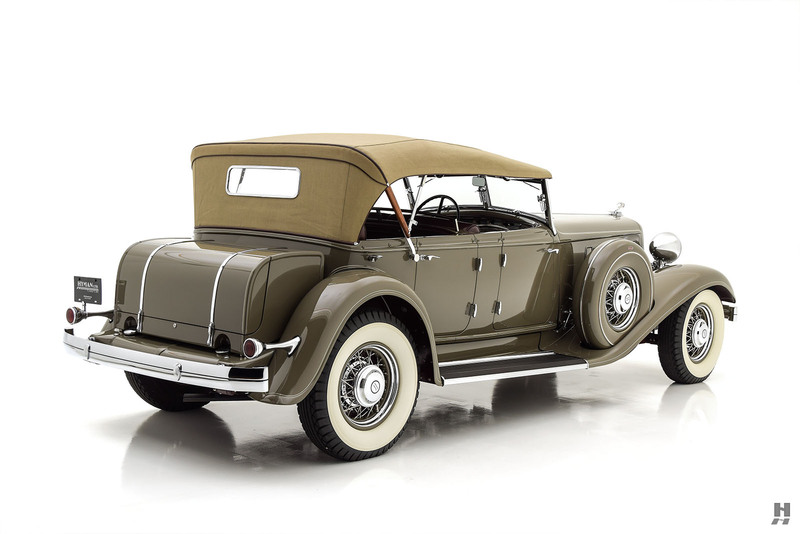 Considered among the most elegant expressions of classic era style, this 1933 Chrysler CL Imperial custom wears gorgeous Dual Windshield Phaeton coachwork by LeBaron Carrosserie. 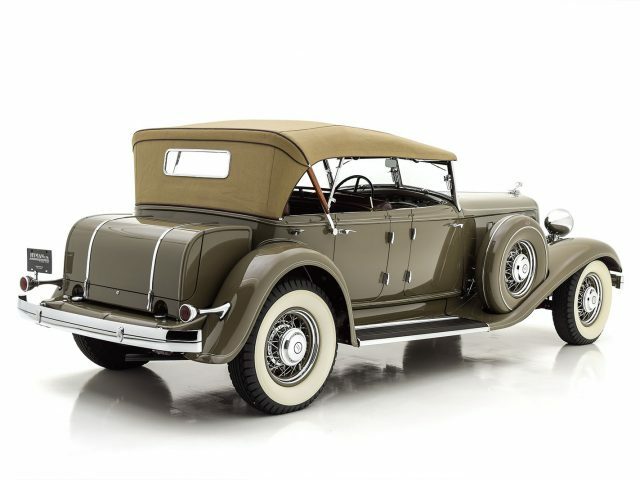 Of the 151 CL chassis produced in 1933, just 50 cars wore “factory custom” coachwork by LeBaron, and this is one of 17 known survivors of this style. 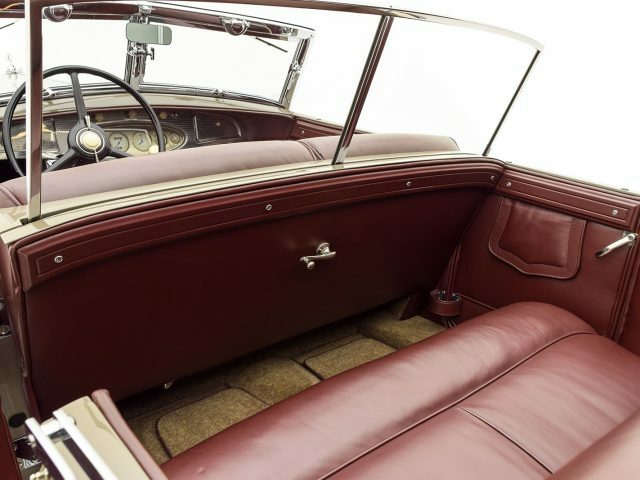 Distinguished by its split windshield, rakish profile, and retractable rear windscreen, the LeBaron Phaeton is one of the most evocative and visually stunning bodies created for the CL Imperial chassis. 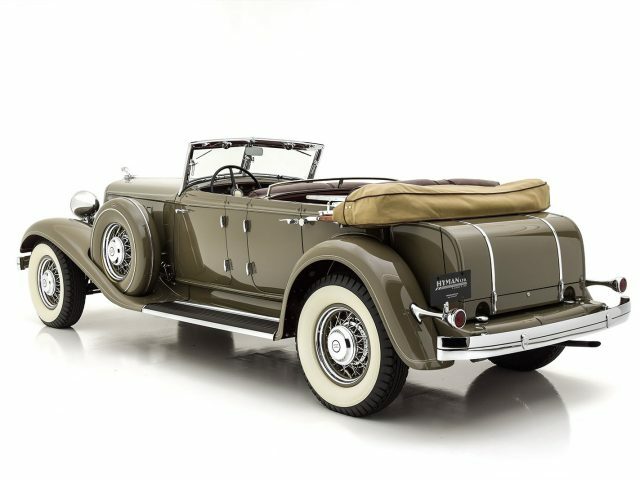 The early history of this car is not fully documented; however, it is believed that it was delivered new in Washington D.C. and that it later belonged to Mr. Paul Vanderbilt. 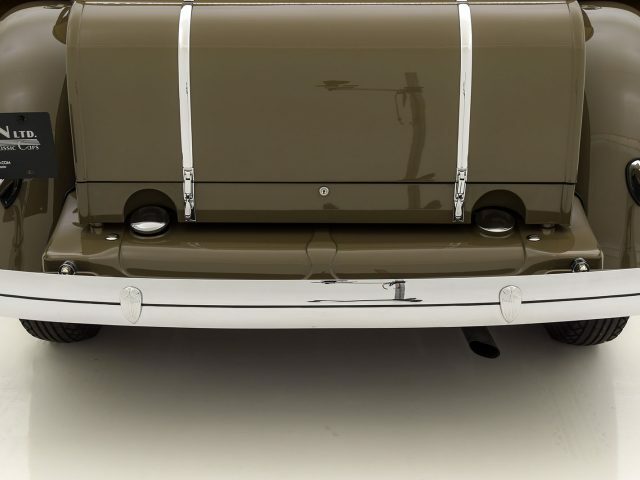 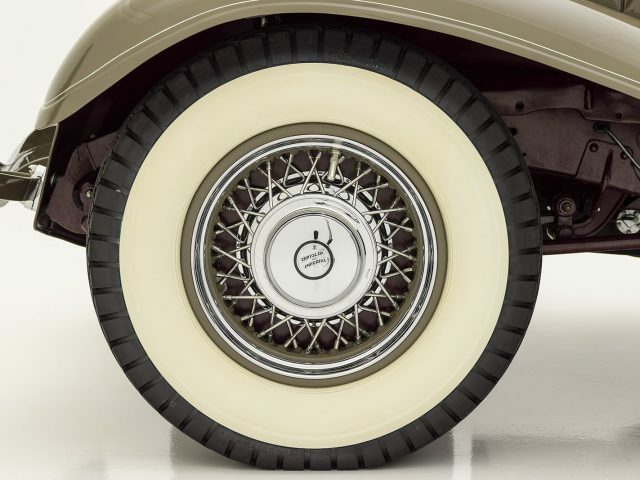 In approximately 1954, Homer W. Fitterling discovered it in Chicago and added it to his ever-growing collection, which would eventually exceed 300 cars. 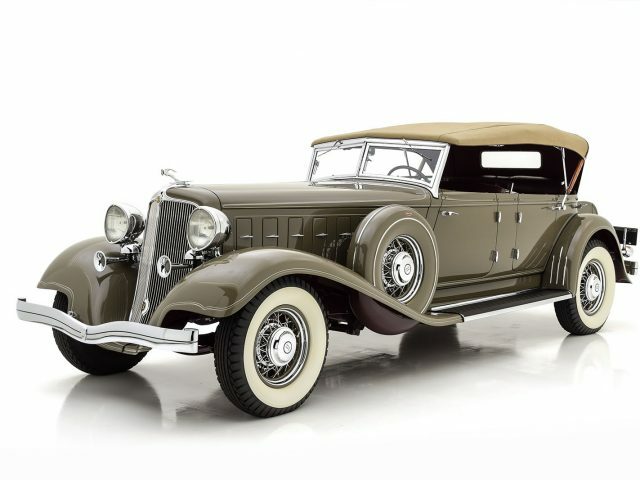 According to marque experts, the LeBaron Coachwork was in excellent condition when Fitterling found it, although the chassis had accumulated considerable mileage. 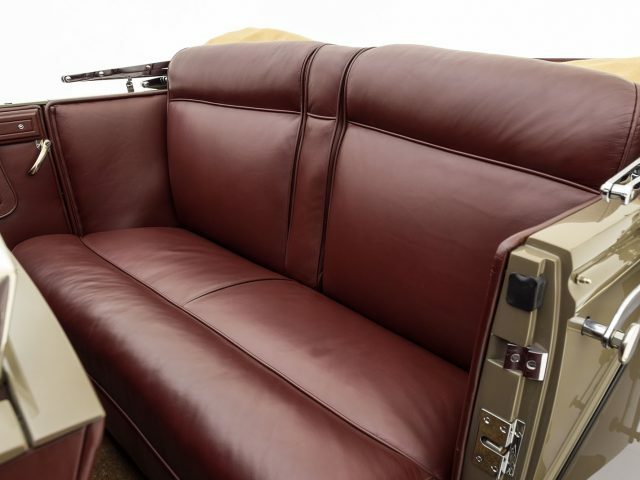 At the time, he owned an identical CL with much lower mileage and a limousine body, so he decided to combine the best aspects of the two cars, placing the stunning dual windshield LeBaron body on the excellent low-mileage chassis of the limousine. At a time when car restoration was in its infancy, this was a common practice among enthusiasts and an accepted method to ensure these wonderful cars continued to live on. 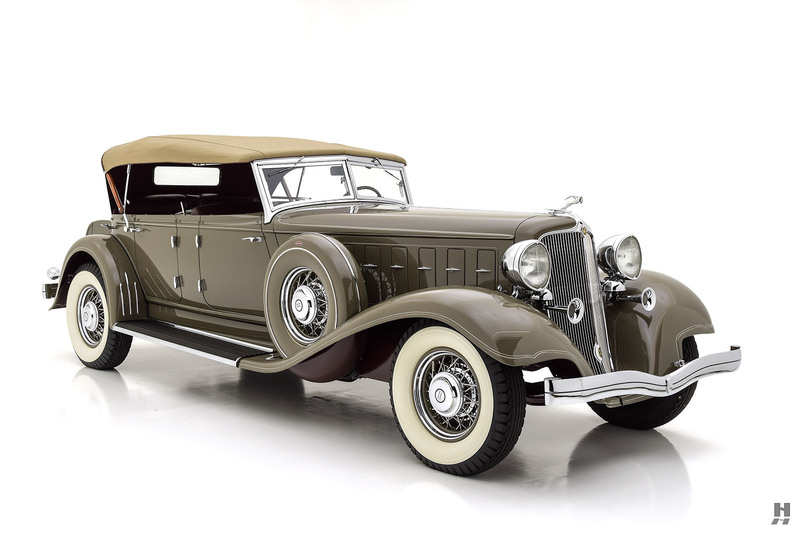 The Imperial remained with Fitterling until 1984, when it passed to another noted collector Robert P. Bahre of Maine, who kept it until the mid-1990s. 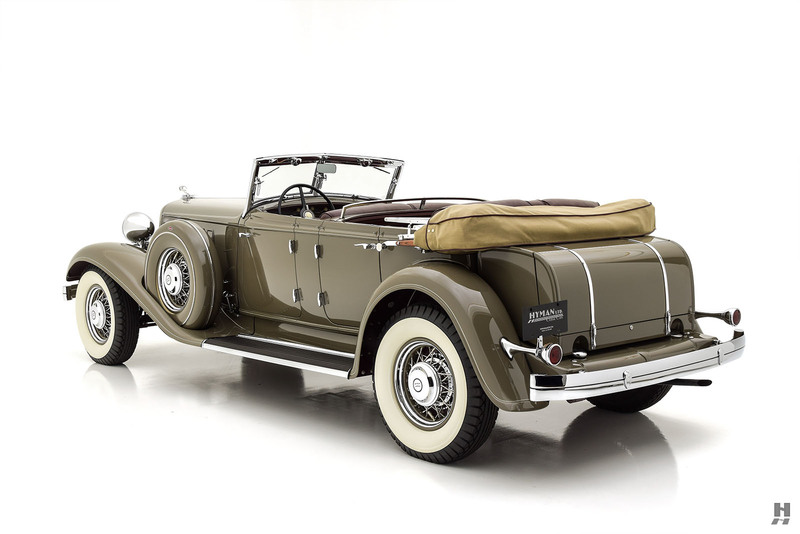 Recognizing the car’s importance, the next owner commissioned the highly-respected restorer Barry Keating of Classic Crossroads in Salt Lake City to carry out a concours quality, nut and bolt restoration to exacting standards. 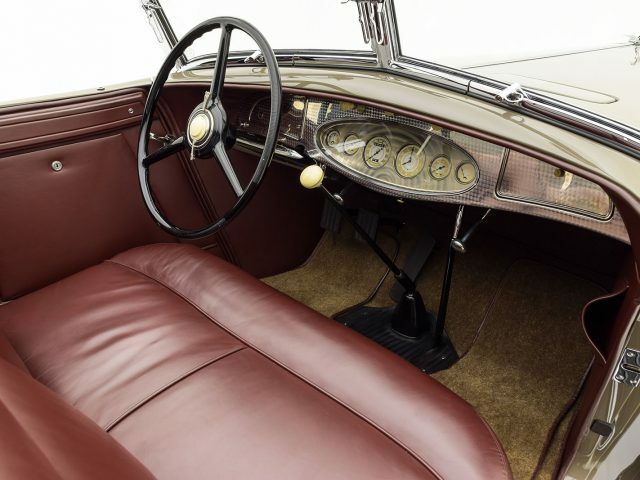 Remarkably, the body was still in exceptional condition, retaining its original sheet metal and castings. 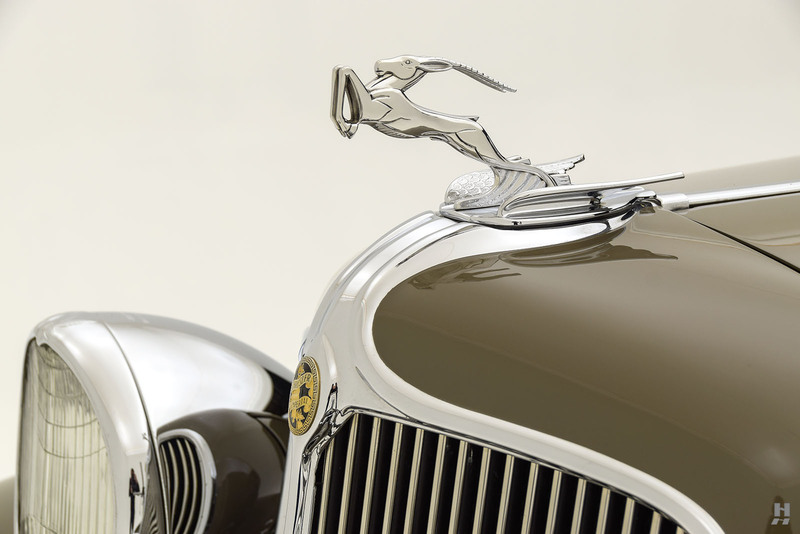 Every detail was tended to, down to the correct Dodge Brothers-branded hardware. 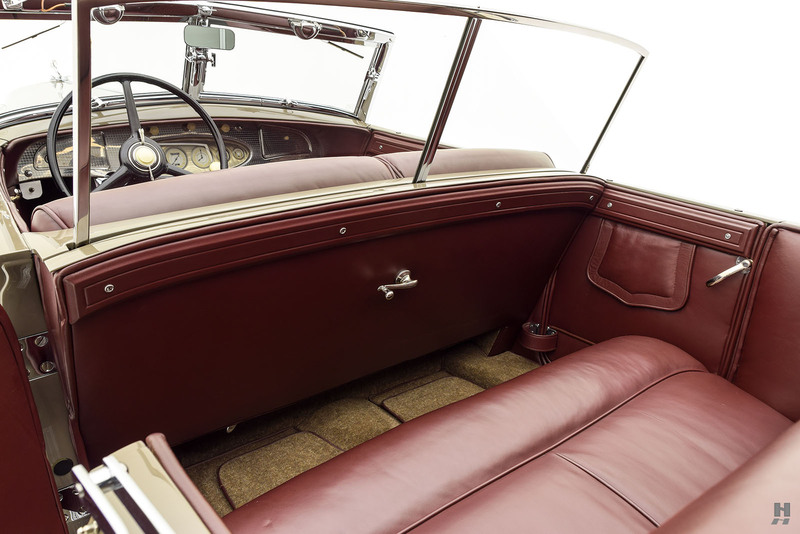 Some of the industry’s most respected craftsmen had a hand in the restoration; including plating by Bob Diehl, and the exquisite interior and convertible top by Fran Roxas’ long-time trimmer Chris Nierstheimer. 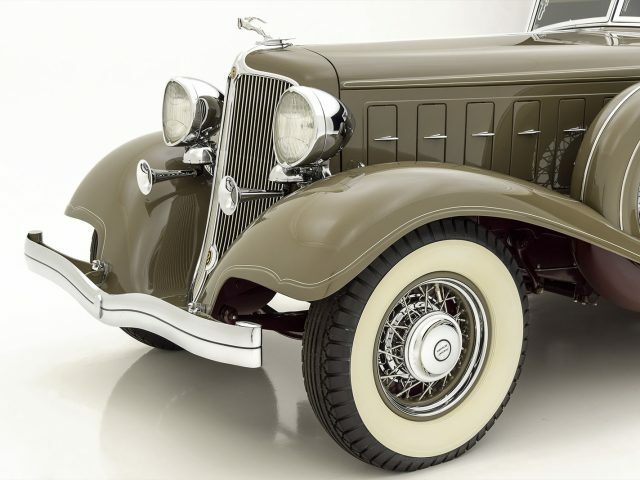 In 2004, the magnificent Chrysler graced the field at the Pebble Beach Concours d’Elegance, scoring a podium finish in its class. 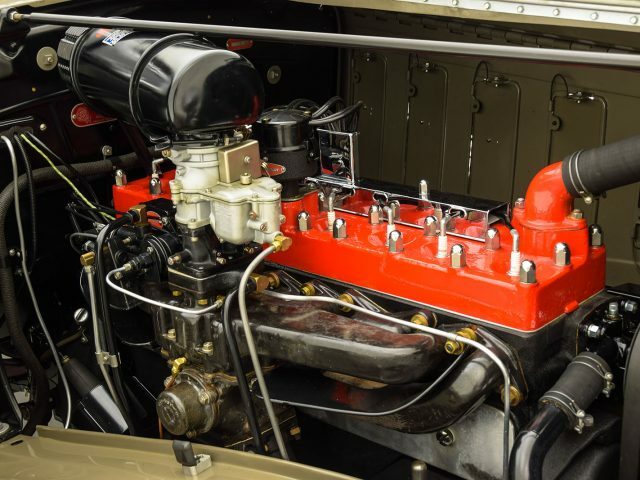 In the early 2010s, Stone Barn Restorations in New Jersey performed an extensive mechanical service to ensure the car performed as beautifully as it looked. 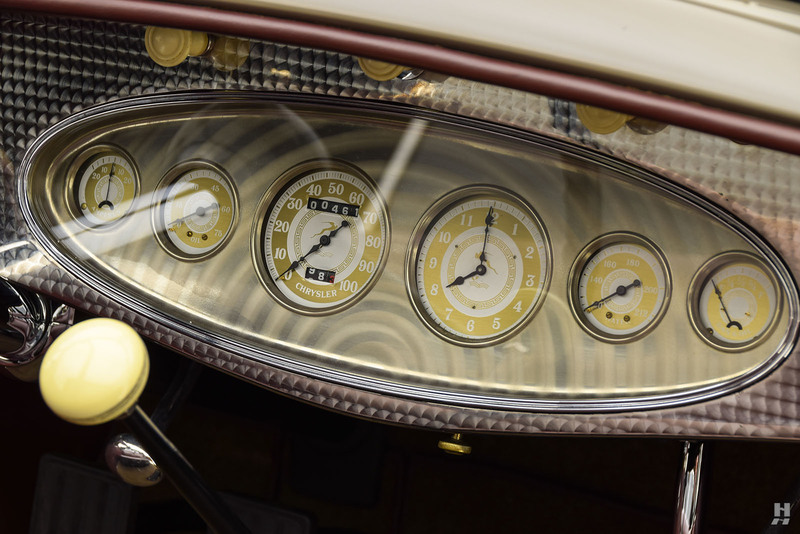 They continued to look after this car for several years, and it remains in impeccable mechanical order. 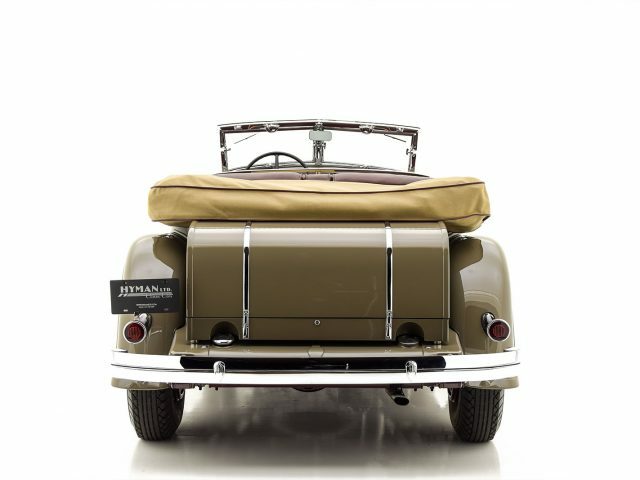 It has been driven sparingly and lovingly cared for in the hands of its most recent owner, and it stands as one of finest of its kind available. 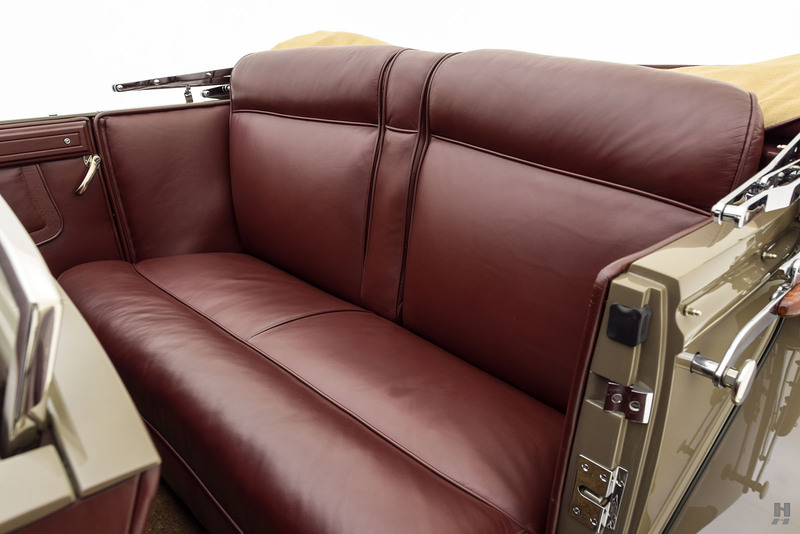 Finished in taupe over a burgundy chassis and interior, the big Imperial is deeply impressive and breathtakingly beautiful. 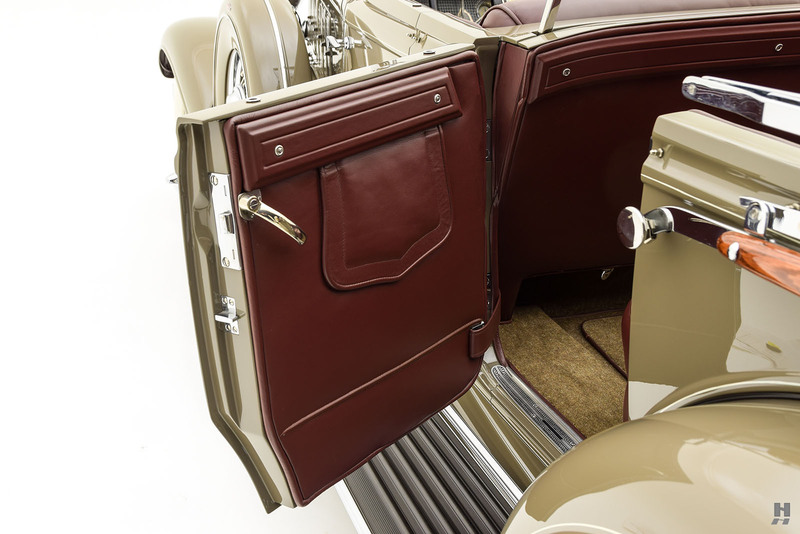 Thanks to regular care and maintenance, it presents in exquisite cosmetic and mechanical condition, with a subtly mellowed restoration. 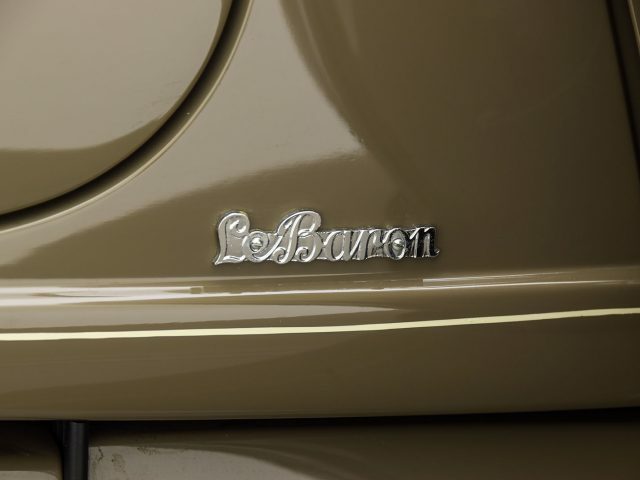 As expected of a former Pebble Beach concours car, the paint and bodywork are outstanding, with precise gaps and a glass-smooth finish. 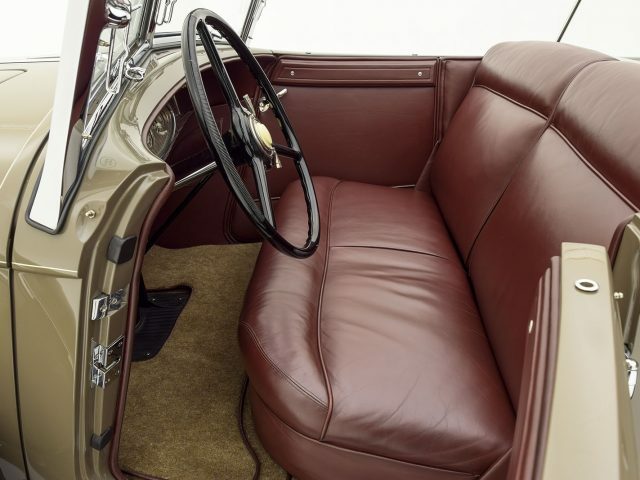 The extensive chrome and brightwork is excellent and in near-concours condition. 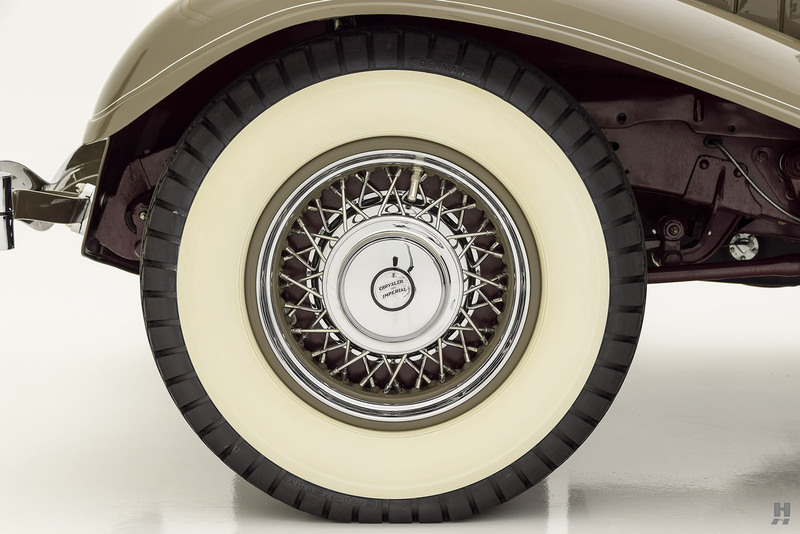 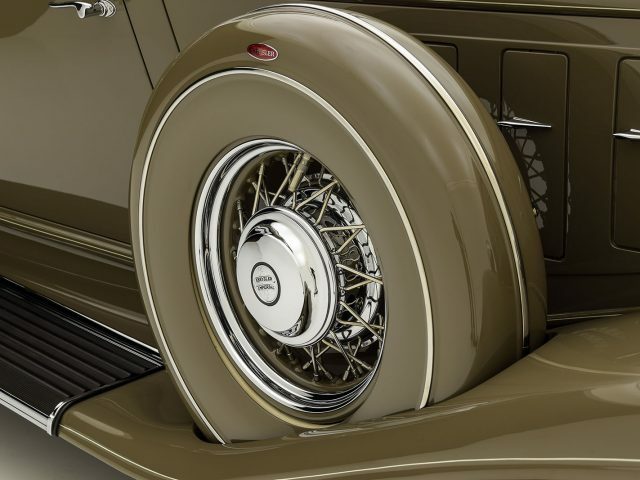 Body color rims accent the chrome wire wheels, which wear wide-whitewall tires. 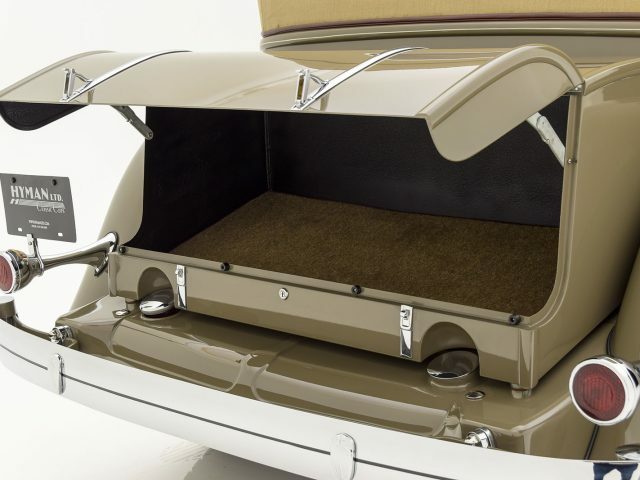 Accessories and fittings include a Gazelle mascot, dual chrome trumpet horns, dual side mount spare wheels with painted covers, and a body-color trunk. 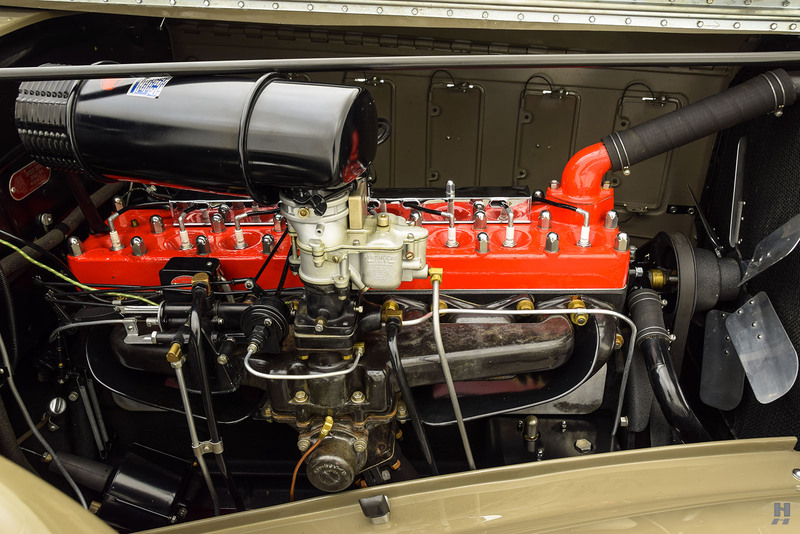 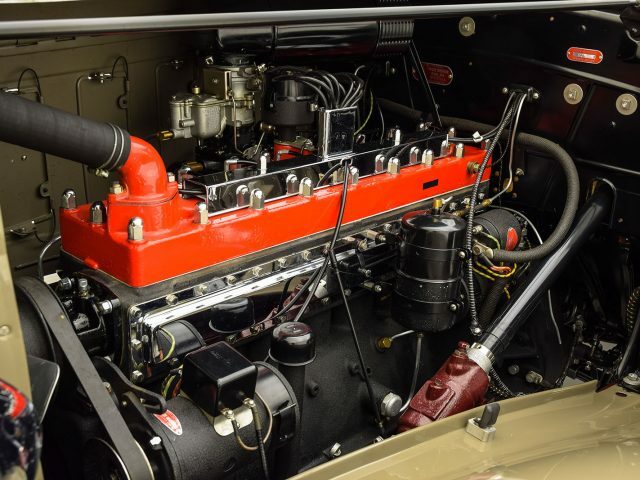 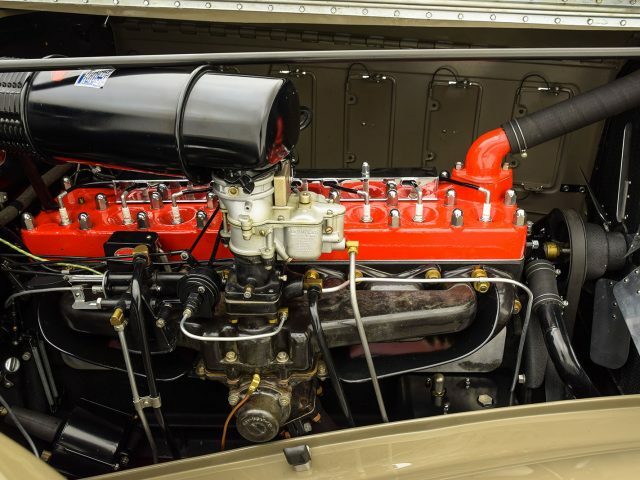 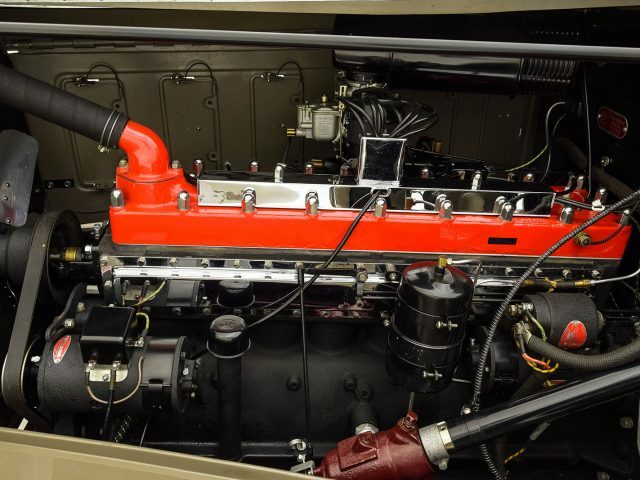 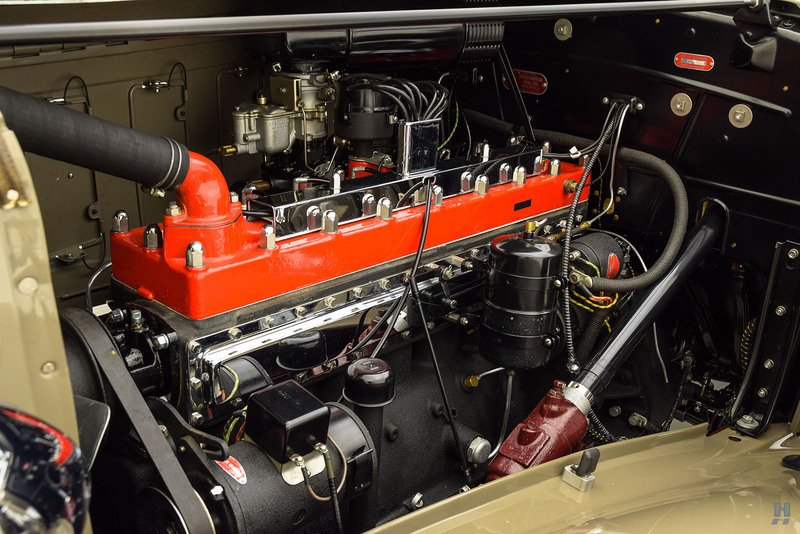 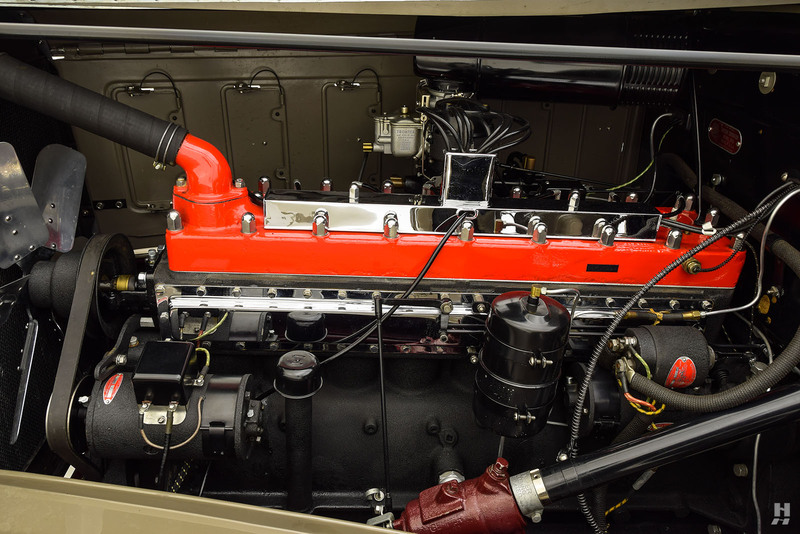 The 348.8 cubic inch inline-eight is detailed correctly with the signature Chrysler red cylinder head, and period-correct fittings. 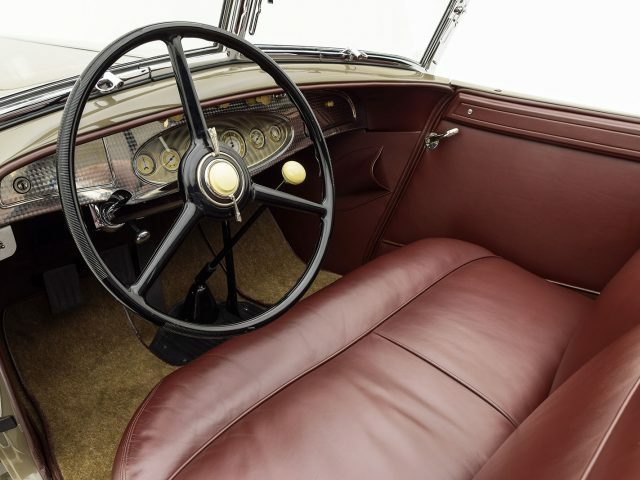 A particular highlight of this car is the magnificent interior, trimmed in fine grain burgundy leather and beautiful wool carpet. 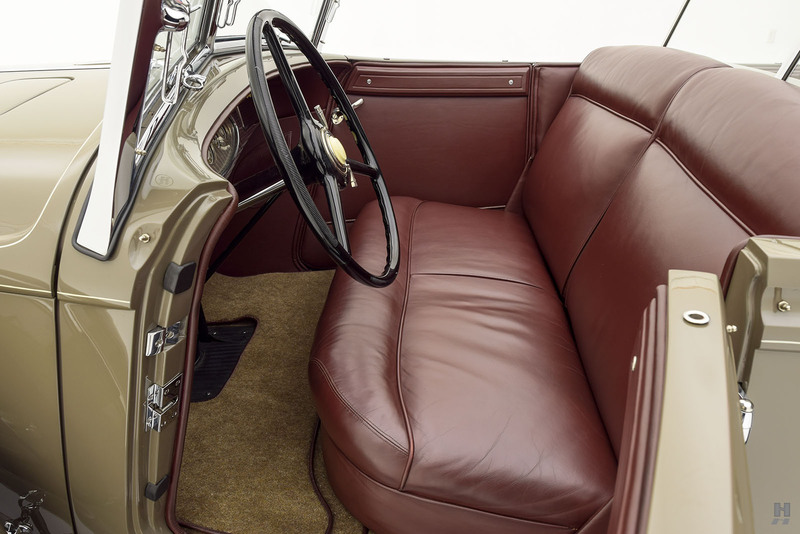 The seats and interior panels are in exceptional condition, with the leather still looking crisp and taut, with a very light character from use, mainly on the driver’s seat. 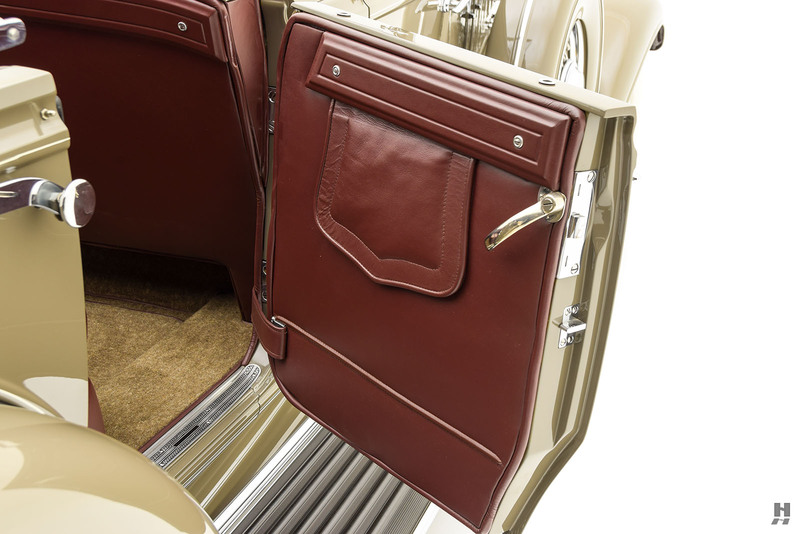 The tan carpets are bound to match the seats, likewise in excellent order. 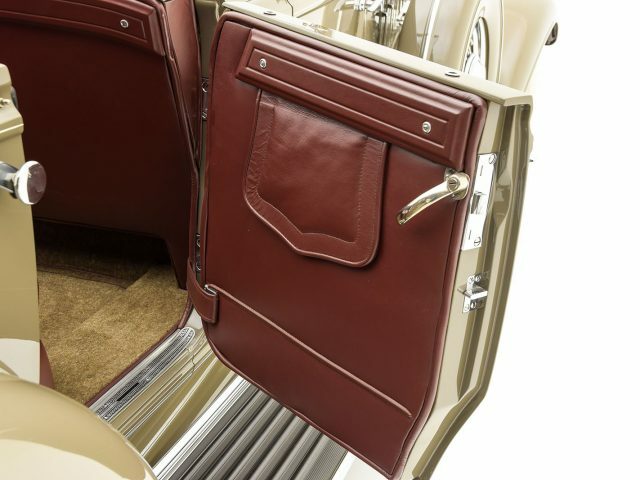 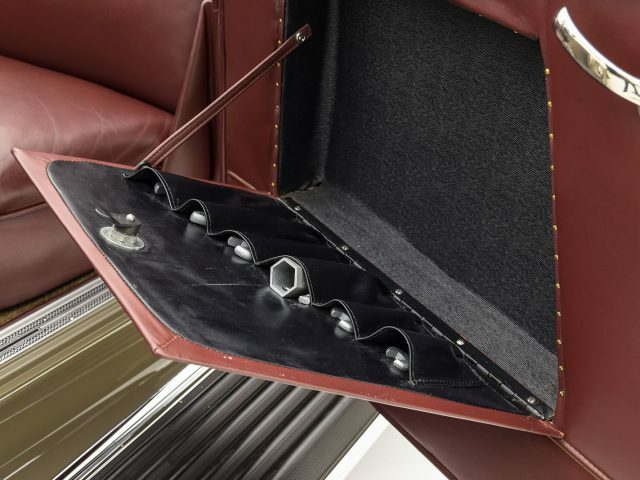 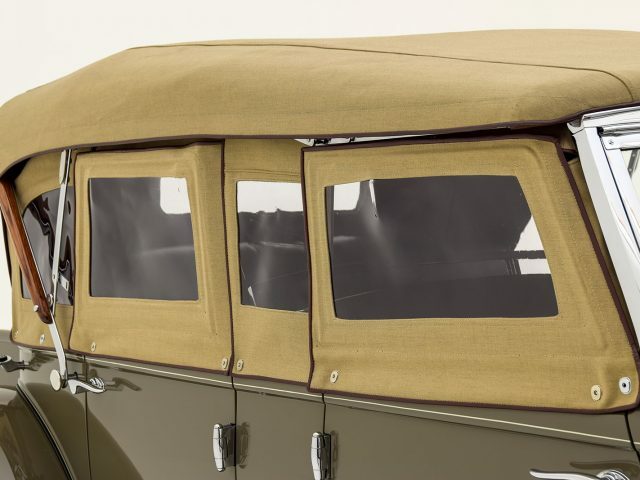 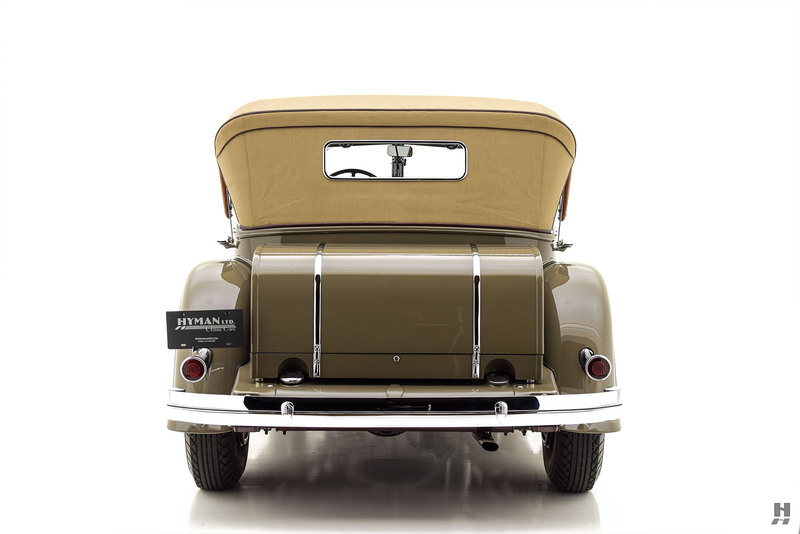 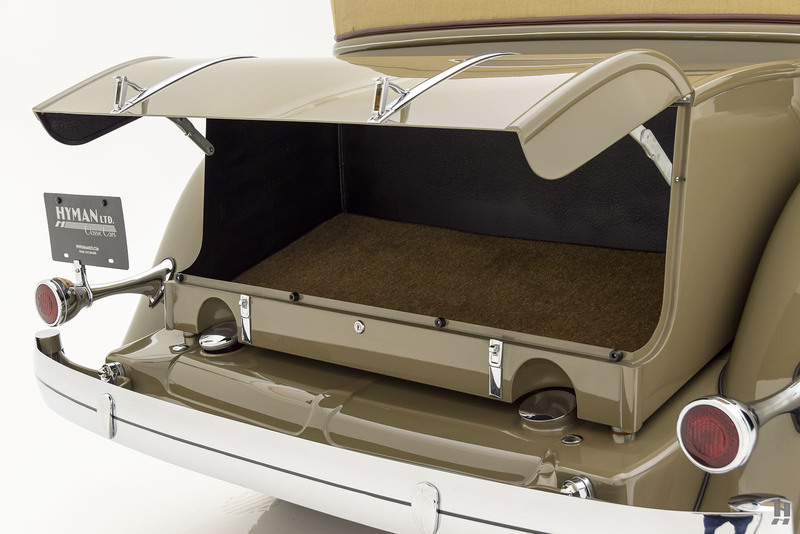 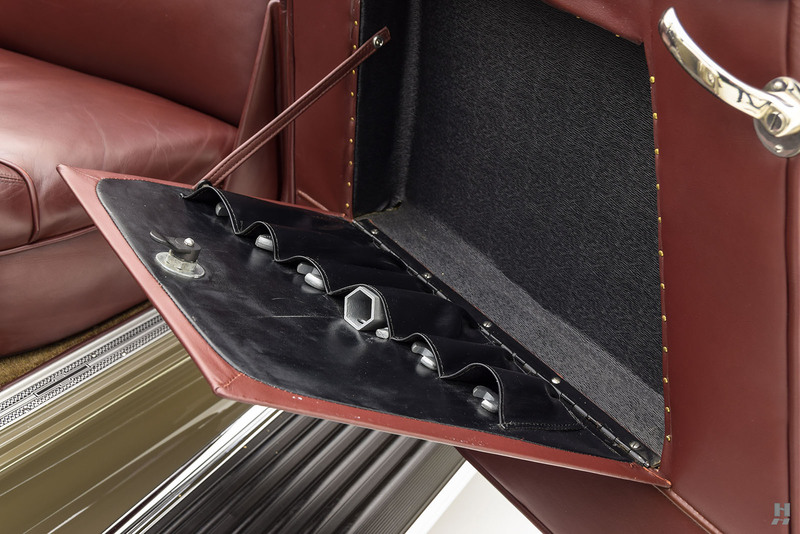 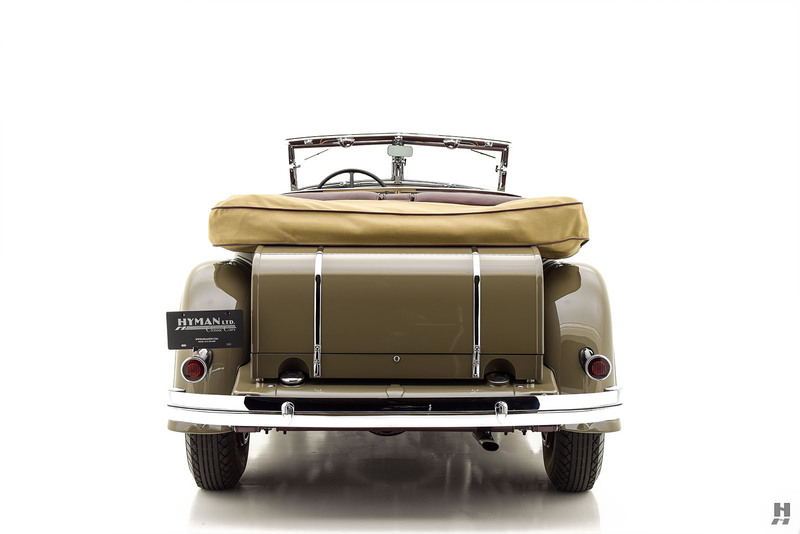 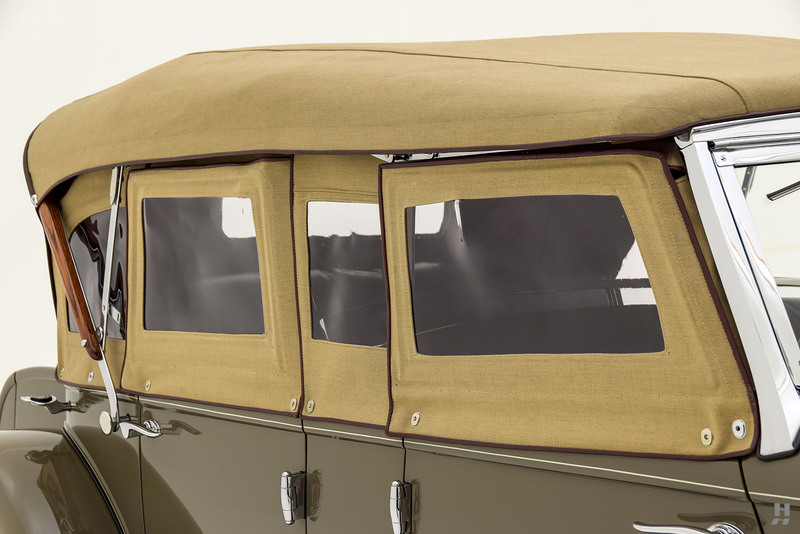 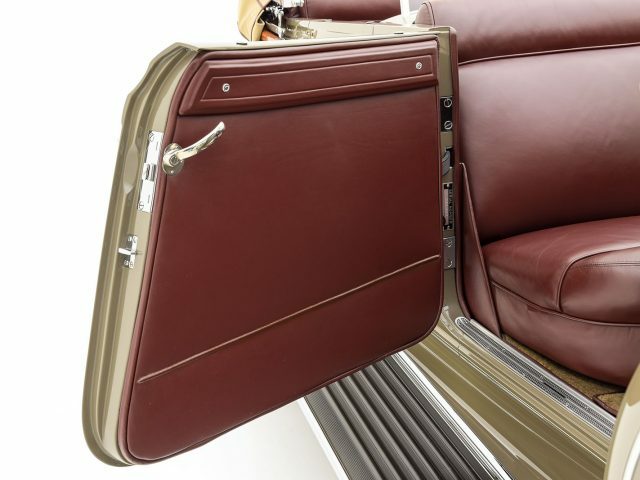 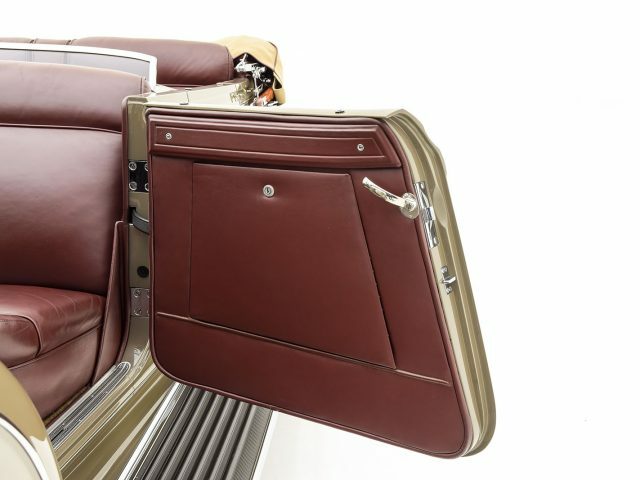 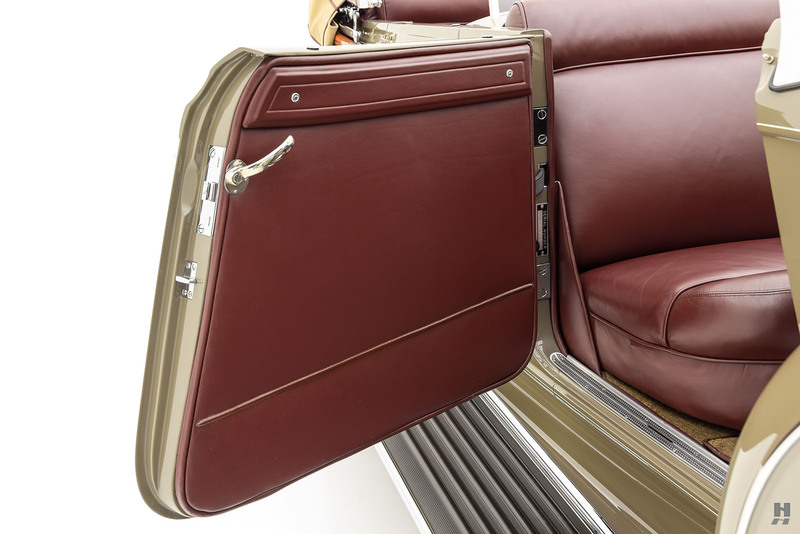 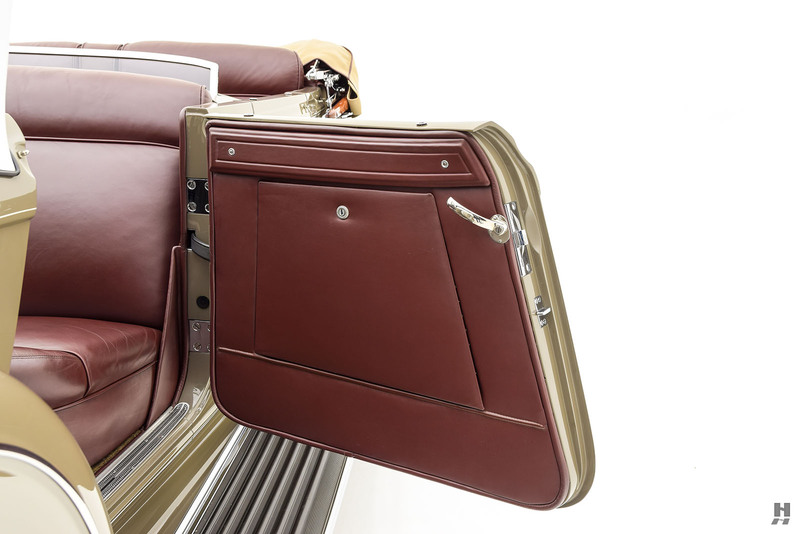 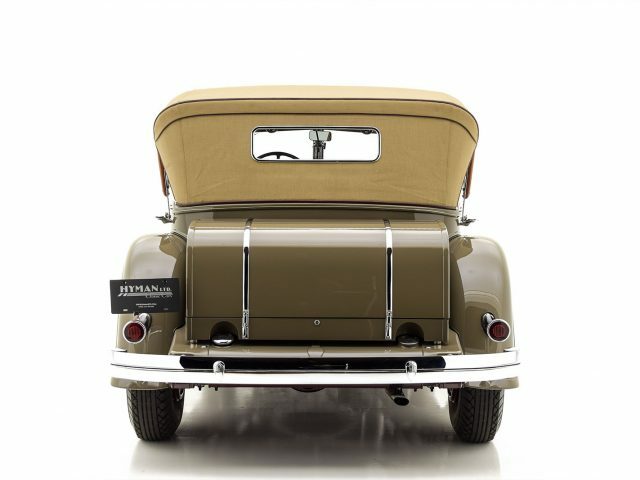 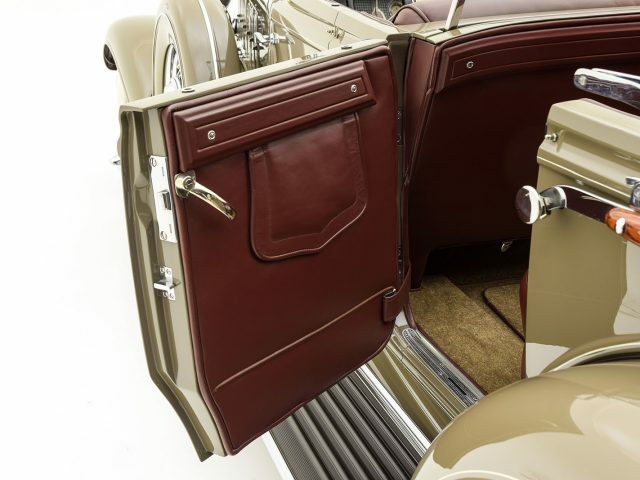 Custom made, burgundy-lined Haartz canvas was used for the convertible top, boot, and full set of side curtains. 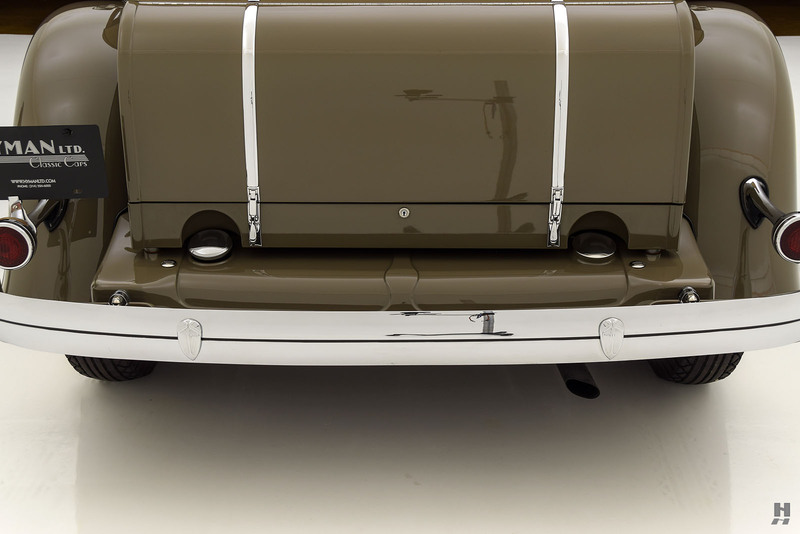 With the top up or down, the presentation is equally striking. 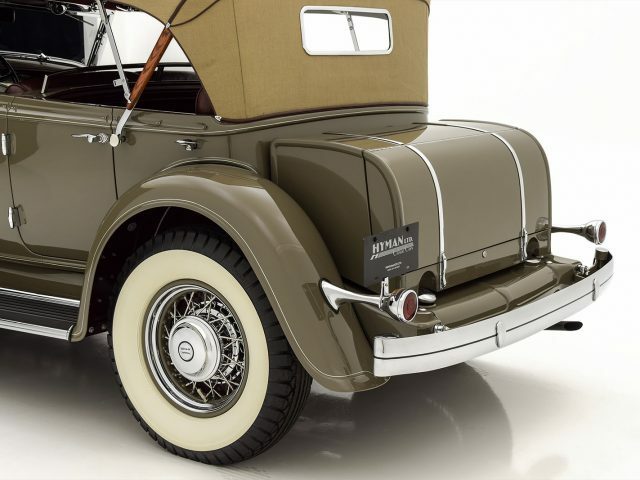 Thanks to its meticulous maintenance and care at the hands of specialists, this Chrysler remains in stunning condition and would be a welcome participant in numerous concours or touring events. 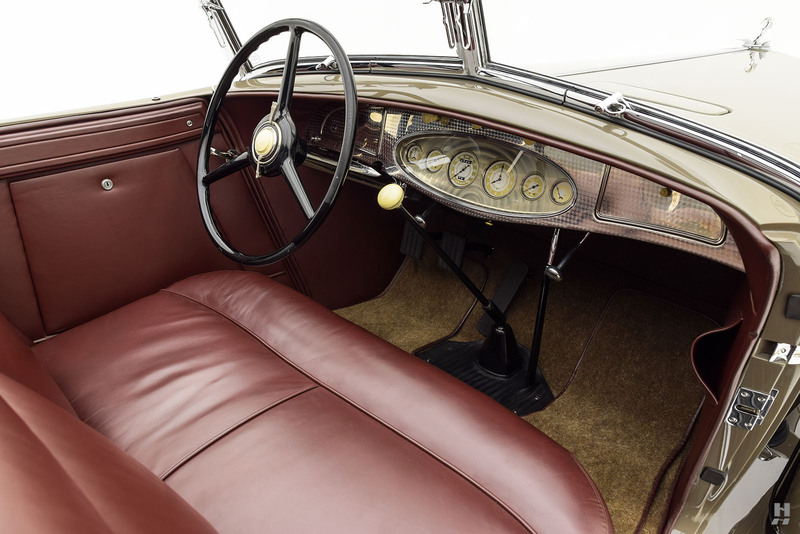 The versatile and beautiful coachwork is well-suited to regular enjoyment on the road, where the sublime chassis and engine can be exercised. 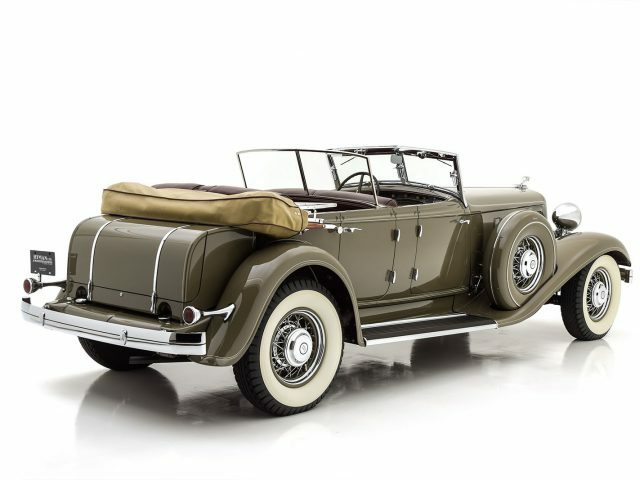 Beautiful, rare, and immensely desirable, this CL Imperial is a stunning example of the mastery of LeBaron Carrosserie and a welcome addition to virtually any collection of significant motorcars.